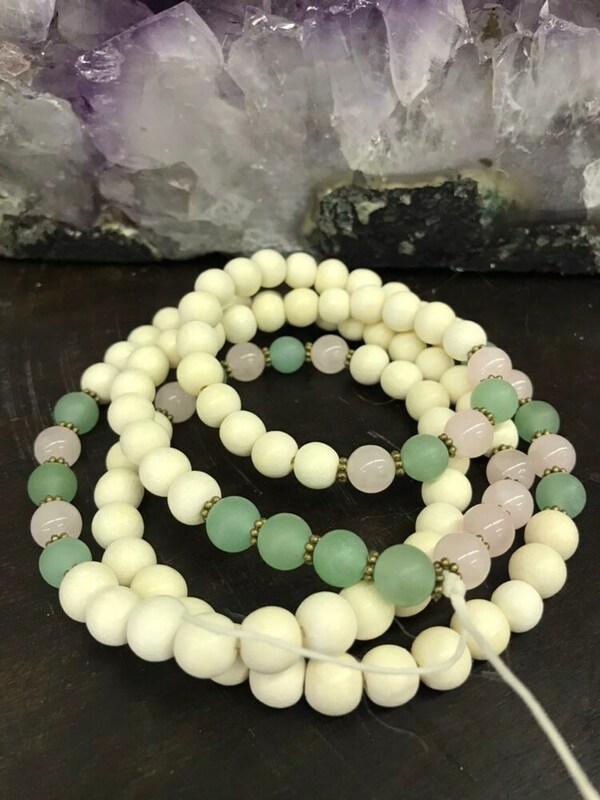 Mala Beads for Meditation with 108 Beads made of natural stone, wood & Metal. 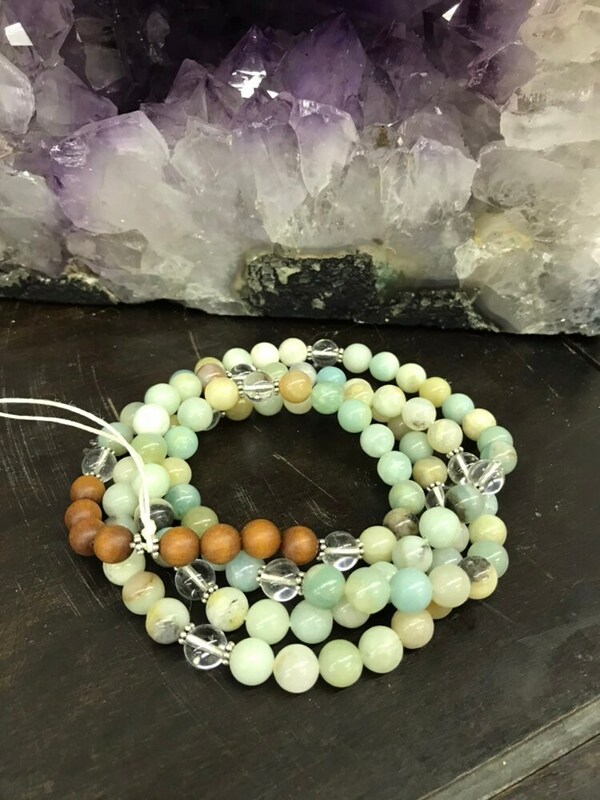 Amazonite Natural Stones with Silver Tone Embellishments & Sandalwood Beads. 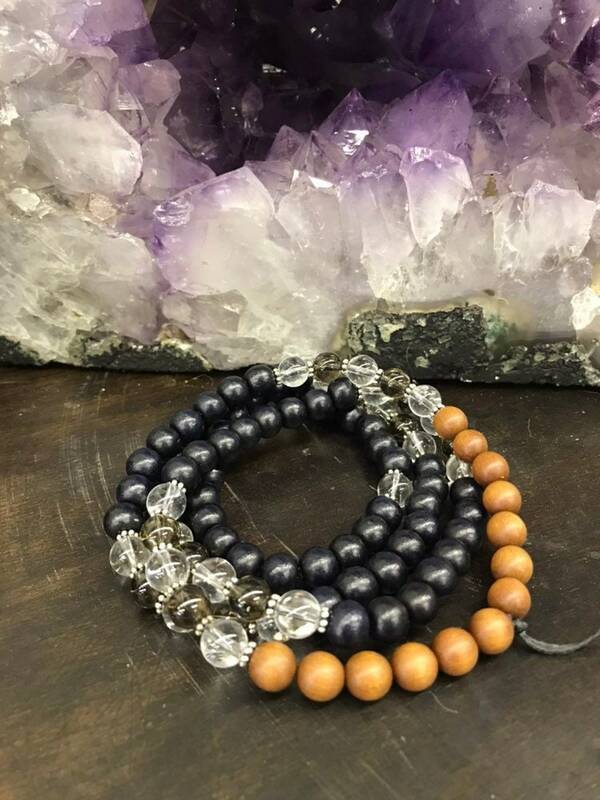 Black Wood Beads with Crystal & Smokey Quartz & Sandalwood Beads.